MILAN (AP) — Italy’s populist, anti-migrant interior minister said Friday that Malta should allow a Dutch-flagged rescue ship carrying hundreds of migrants rescued from rubber dinghies off the Libyan coast to make port there because the ship is now in Maltese waters. “We ask humanly and politically that Malta finally opens one of its ports and lets these desperate people disembark,” and then seize the ship, Salvini said. Malta responded that it would “act according to the laws and applicable conventions,” without further explanation. International law states that Malta must respond if they are the nearest safe port at rescue or if requested by the ship’s captain. The dynamic is similar to the standoff over the Aquarius, operated by French aid groups, which eventually sailed an additional 1,500 kilometers (900 miles) last week to deliver 630 migrants to Spain after both Malta and Italy refused to let the rescue ship access their ports. 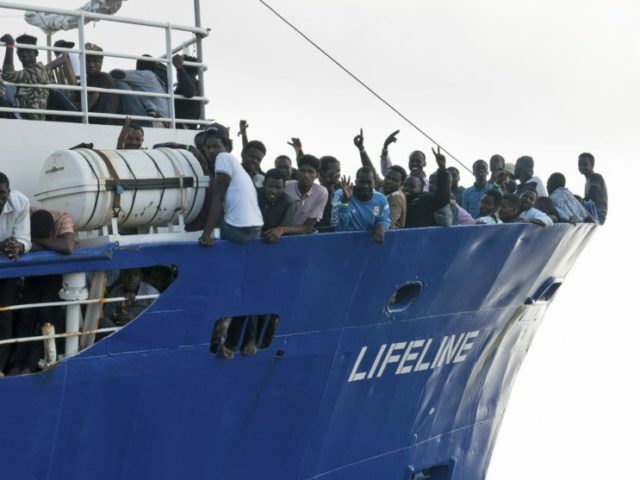 Salvini is making good on an election promise to go after rescue ships run by aid groups, which he has likened to taxi services that help the migrant smugglers. More than 640,000 migrants have arrived in Italy since 2014, many of whom made their way northward to join family or to countries perceived as providing more assistance until Italy’s neighbors enacted stricter border controls. Arrivals are down some 80 percent this year to around 14,500, as migrants have turned to other routes.